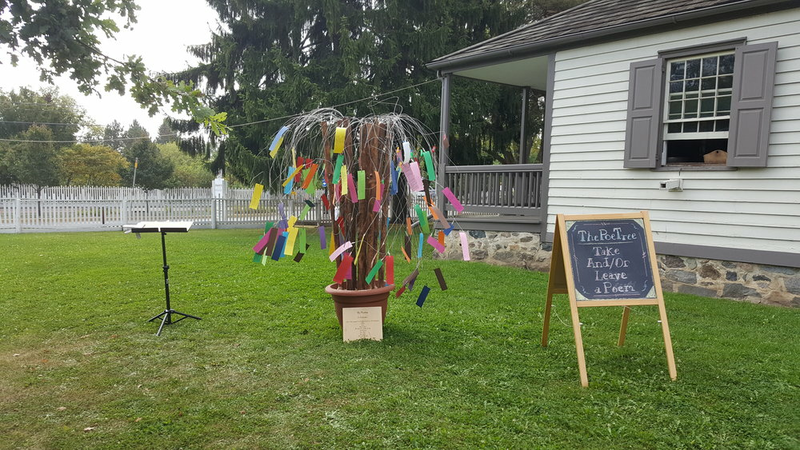 The PoeTree is up at the historic Schneider Haus in Kitchener, ON (466 Queen St. S.) for the IMPACT Festival. The IMPACT Festival features productions from all over the world and it runs until October 1st. The PoeTree, however, will only be up until September 30th (inclusive). As shown above, It will be on the front lawn of the Schneider Haus from 11 a.m. to 6 p.m. every day. Come out! Take a poem! Leave a poem! And/or both!